This quality statement provides information about the quality of the crime statistics presented, using the dimensions of the Australian Bureau of Statistics (ABS) Data Quality Framework (Relevance, Timeliness, Accuracy, Coherence, Interpretability, and Accessibility). Data is released for selected offence types for Western Australia (WA) and the regions, districts and suburbs contained therein. Data is compiled based on the date an offence is reported, or becomes known to police. Statistics are released quarterly on the website at the end of the month that follows the quarter. For example, data for the January to March quarter is released in the last week of April. In 2016, the Western Australia Police Force commissioned an independent review of its statistical processes, carried out by the ABS. The review focused on production of selected criminal offence data. Based on the ABS recommendations, the WA Police Force implemented changes to its internal statistical processes between May and November 2017. Due to these changes, comparison should be made with caution where it is either of data from before and after the period of recording and reporting changes, or involves data from a period overlapping May-November 2017. Offence data is extracted from the WA Police Force Incident Management System (IMS). Counting rules are applied by the WA Police Force to align reported statistics, where practicable, with the National Crime Recording Standard 2008 and have been endorsed by the ABS. Due to ongoing police investigations, offence counts are subject to revision; this may result in changes to reported crime data between quarters. Location data is recorded for all offences. However, if the location is unable to be matched with the WA Police Force’s geographical mapping tables, the offence will appear in WA state level data, but not at lower geographical levels (i.e. Region, District, or Locality). The offence classification used for the publishing of WA Police Force crime statistics is based on a combination of the Australian and New Zealand Standard Offence Classification (ANZSOC) 2011, WA Legislation, and operational reporting requirements. Category names may be the same as referred to in WA legislation; however, for the WA Police Force crime statistics reporting purposes, categories may use broader or different definitions to capture similar offence types. Please refer to the Glossary for more information. 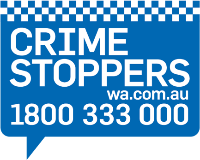 Explanatory material (Explanatory Notes, Glossary) has been provided on the WA Police Force website to assist users with understanding and interpreting crime statistics. Notes are also included in the downloadable reports and data spreadsheets. Offence counts do not represent victim or offender counts. One offence can have multiple victims and offenders, or the same person could be a victim or offender in multiple offences. For example, the stealing of a credit card and using it to purchase items over a period of time may lead to multiple offences of Fraud being recorded (and counted), but only one victim and one offender would be associated with all of these offences. The interactive look up tool - provides 10 years of data on a time series trend which can be filtered by offence type or location and used to compare suburbs. The PDF report ‘Year to Date Annual Crime Statistics’ is available from the Download Reports and Data tab and provides a snapshot of offences and their rate per 100,000 people for various locations, including the WA Police Force Districts. The Excel spreadsheet ‘Crime Time Series Data’ is also available from the Download Reports and Data tab and provides 10 years of offence data for various locations, including the WA Police Force Districts. Archived crime statistics reports are also available from the Download Reports and Data tab but these reports are based on the reporting model prior to 2017 and are not comparable to current data.